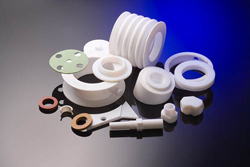 At DKI Rubber & Plastic Ltd, we have the ability to fabricate all types of machined plastics. We routinely machine parts form plastic sheet, rod and tube. 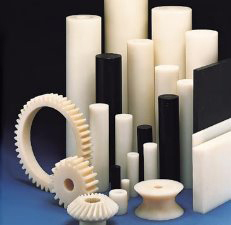 Our capabilities include CNC milling, CNC turning and grinding of many industrial plastics. Our Machined Parts range from simple rings to intricate shapes and complex assemblies. At DKI, is well equipped to handle the special requirements associated with machining many of the advanced engineering plastics. Whether the requirement is a critical tolerance or a contamination free part, or both, we have the experience necessary. Machining is the quickest and most economic way to produce small quantities of finished plastic parts. We are constantly striving to reduce costs, both by process refinement, and by maximum yield of parts from the minimum amount of material to guarantees the customer economic advantages. In order to provide our customers with complete machined plastics solutions for their engineering and production needs, we are pleased to offer precision CNC machining services. Our computerized numerically controlled equipment can duplicate precise prototypes or production runs of all types of plastic components. Our equipment can be put to work for you to build prototypes or production runs of all types of machined plastics. Multiple tools cutting or forming at the same time within one cycle. Multiple kinds of machining / forming at the same time within one cycle. Large amounts of material removal or long machining cuts broken up in to several tools within one machine cycle thus cutting the time needed to make the part. If you require further information or enquire, please contact us. Simply call us on: +8620 36013580, or e-mail us: sales@dkirubber.com.